Sarah from Bray's Cottage Pork Pies here. Thanks so much for such a lovely review, glad you liked our pie! I thought I'd tell you about the markings on the top of the pie (pie fact!). We have to know what variety each pie is so we have a different mark for each flavour. 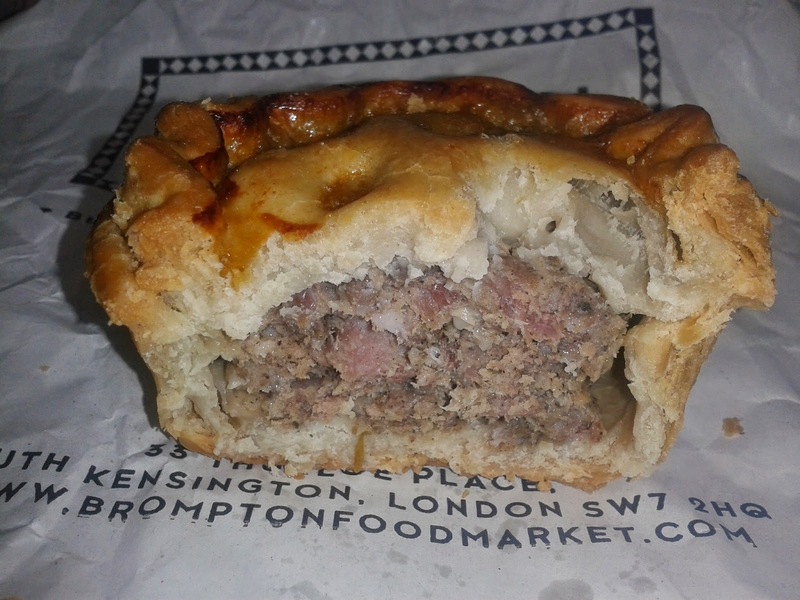 Four holes is Naked (our take on a traditional pork pie), two holes is Chilli, one hole is Onion Marmalade (our most popular so the quickest mark to make, little efficiencies in a hand made process are much appreciated when we're busy! ), C is Chorizo, * is Lemon, Parsley and Garlic etc etc. We do, as you mentioned, have to make a hole in the pie otherwise the lids try and levitate about the pie when they are baking in our oven (which is a big bread oven which I think helps the pastry look and taste so good). The price of our pies do vary (usually reflecting how much rent and rates the shop has to pay!). 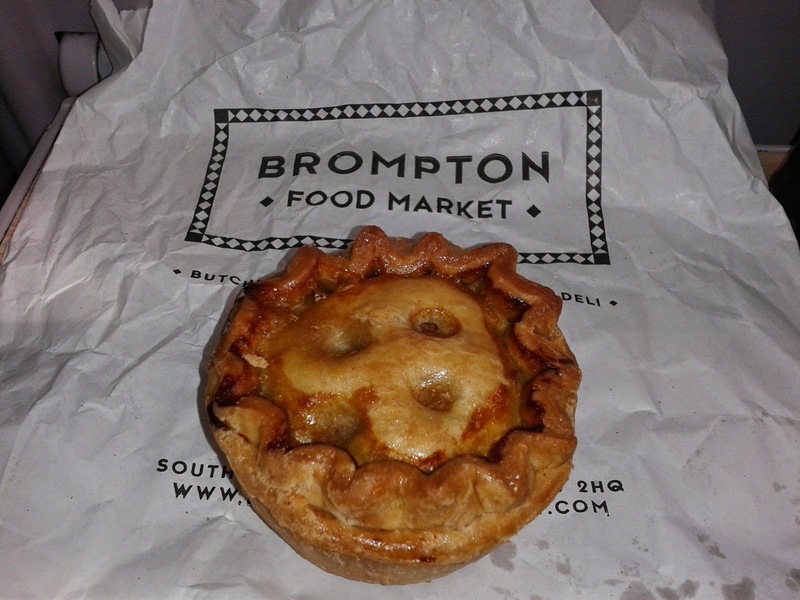 I'm so glad you went to Brompton Food Market, it is new and an amazing treasure trove shop full of wonderful food. Luke, the owner, is very supportive of small "real" businesses. And it has a lovely garden out the back to have a spot of lunch - which makes it a bit of a treasure in the Museum district of London. If you are ever near South Ken tube it's a good place to make a beeline for. Thanks so much again for your kind words about the pies.